This is the headline of a Bank for international Settlements working paper, which argues increased participation of older workers may decrease wage pressure. "Our estimates indicate the participation of the elderly has a specific effect on the labour market. It is different than the one of other age groups. A plausible explanation is that...the shorter time horizon of job tenures reduce the outside value of the elderly," the report's authors Benoit Mojon and Xavier Ragot say. "Hence they have less incentive to search for other jobs. As a result, the increase of the participation of the elderly workers may decrease wage pressure." Mojon and Ragot note that the post-2013 economic recovery in OECD countries is yet to translate into "normal" inflation levels. Core inflation is near 1% in the Eurozone, has increased from zero to 1% in Japan, and approaches 2% in the US. Most other advanced economies, including New Zealand where it officially ran at 1.9% in the December year, are also experiencing little inflation. At the same time there has been a "tremendous increase" in the participation of baby-boomers, people born between 1945 and 1968, in the workforce. "For instance, six of the seven million jobs created in the euro area between 2013 and 2017 were above 50. In the US, the share of workers above 55 in the workforce has almost doubled from 12% in 1995 to 23% in 2016. In Japan, even the participation of workers above 65 has increased by nearly four million since 2007. The participation rates of workers aged 55 to 64 has increased from 33% to 55%, on average across OECD countries in the last decade," Mojon and Ragot say. "In Germany it increased from around 40% until 2003 to above 70% in 2016. This major transformation of the work force coincides with the setting up of pension reforms that became implemented as baby-boomers cohorts approached the age of retirement." "Such demographic conditions may influence the determination of wages drastically," the paper says. Mojon and Ragot acknowledge that the increase in participation of older workers could reflect an increase in labour demand, but were this the case they suggest it should have pushed wages up. "The fact of the matter is that, as we show in this paper, wages have responded negatively to increased participation of older workers. Therefore the change in the composition of the workforce is akin to a major labour supply shock by ageing workers. Most likely these aim to preserve their lifetime purchasing power through postponing their retirement." "This positive labor supply shock is likely to push down wages and unit labor costs. If this transition implies a level shift over several years, it may also impact wage inflation during the years when the transition is taking place," say Mojon and Ragot. "The Bank of Japan (2018) shows that the wage elasticity of labor supply for elderly is twice as high as the one of men aged 15 to 64, which contributes to explain why Japanese wages have stagnated in spite of the steady decline of the unemployment rate. This overall negative effect is consistent with our estimates." They go on to say that; "To put it in a nutshell, the ageing population by itself does not generate a downward trend in wages. However, higher participation rate of old workers who move to well-paid job to jobs with lower wages pushes down the aggregate wage." Wage inflation is "highly responsive" to its three traditional determinants being lagged CPI inflation, productivity and the unemployment rate. "If the participation of 20% of the working population (population aged 55 to 64 over population aged 20 to 64) has nearly doubled, it means that aggregate output potential should increase as well. It would increase by roughly 10% if the productivity of older worker grows in line with the one of other workers. It should increase by less than 10% if the productivity of older workers is slower. It will in any case grow as long as the productivity growth of these older workers is not too negative," Mojon and Ragot say. "Second, (wage) inflation remains very much driven by cyclical forces and therefore it can be influenced by monetary policies. This result should be taken into account by those who fear that the “Phillips curve” transmission of monetary policy to inflation is broken. Central banks who spur activity and employment will eventually harvest domestic wage inflation, and, in all likelihood, inflation of goods and services." 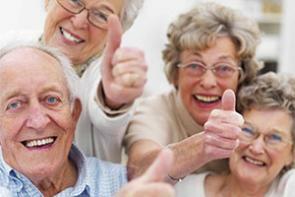 "Third, it is not clear yet how high participation rates of older workers will go. We are probably undergoing a very long transition and we don’t know when it will end. But as long as this transition implies a larger slack than measured by the unemployment rate, the economy operates below its 'NAIRU' [non-accelerating inflation rate of unemployment] potential. Taking a broader perspective, it seems that unemployment has not been a comprehensive indicator of labor market slack," the authors conclude. Thanks Gareth. Lots contained in here. First thought is what this means for those who think increased proportion of old people in the population has to be some sortof economic problem. Will they adjust their view? As a young salary earner, certainly not. In fact, quite the opposite. And also interesting. "..... Unemployment has not been a comprehensive indicator of labour market slack." Good paper, there is another very good one explaining the inflation - dependency ratio dynamic too. I feel these are indirect consequences though, as in wage inflation isn't directly correlated to labor market participation, but general economic activity. I.e spending patterns of old, translate to low wages through lower corporate profit margins / output.